FromSoftware’s Sekiro: Shadows Die Twice is coming later this month and even though not a direct sequel or prequel, if you haven’t dove into the world of Soulsborne style games, you surely are missing out. Though you may be saving yourself some heart-attack inducing stressful moments, you are also robbing yourself of some of the most unique, satisfying and rewarding games out there. 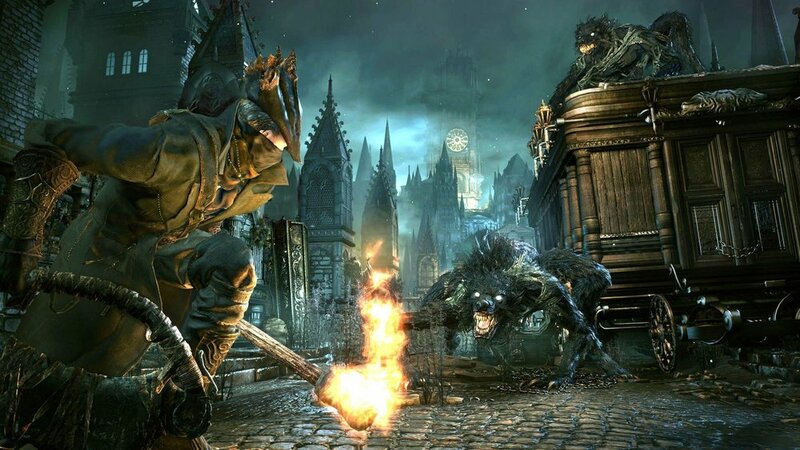 My first foray into the series was Bloodborne clear back at launch in Early 2015. After the first few hours, I almost dumped the game completely. I couldn’t even beat the first group pitchfork and torch-bearing freaks around the bonfire! After finally learning to dodge, charge attack and get the flow of the game, I finally beat the first few groups of bosses and my adrenaline shot through the roof..
And so begins the journey for millions of fans out there including myself who see to magically transform stress, anger, and sheer difficulty into pure gaming joy. There are moments of pure frustration when you farm a huge amount of souls or blood echoes (the currency for items and stats) and lose them after venturing into a dark corner of the incredibly dark yet detailed environments but when a seemingly impossible lunch eats your lunch and you finally beat it after the 10th try, the reward and feeling of accomplishment is immense. Check out the vid below and if you love, hate, or haven’t even tried any titles in the series, let us know in the comments.